Unique Baby Gear Ideas has lots of DIY baby nursery themes, room decorating ideas and designs for baby boys, girls or both that will put your project on the fast track to success. There are homemade sewing and craft ideas that you can make yourself to help save money on window treatments décor and artwork. 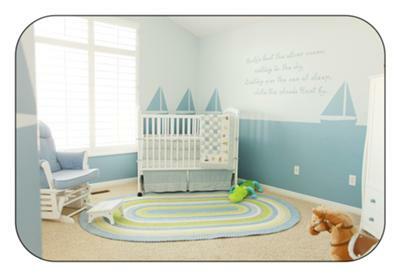 This website has a gallery of nursery pictures filled with decorating ideas for a baby boy or girl's room or rooms for both should parents expecting twins need guidance. 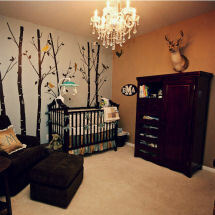 We have pictures of real nurseries with ideas shared by real moms just like you. Learn how to paint and recycle furniture, sew your own crib sets and window treatments and enjoy easy crafts projects that are fun and will save money while re-creating delightful rooms similar to the ones we feature. The nursery designs that you will see in our gallery feature the most popular themes as well as instructions for baby nursery decor that you can make yourself often using items that can be re-purposed from other areas of your home. They also share decorating advice, names of paint colors and tell how they managed the project with step-by-step instructions and tutorials that will save mommies-to-be lots of time and expense. Welcome to Unique Baby Gear Ideas where you will find many baby nursery decor ideas and nursery themes shared by talented moms who visit our website as well as the latest in bedding and decor. Before you go shopping in stores or online for baby nursery decor ideas, refer to the examples of ways to display sentimental family keepsakes. Moms have become masters at recycling and upcycling used furniture and making their own decorations. Many decorated their baby's nursery room without spending much money at all using these techniques and by putting their knowledge of crafts to good use. 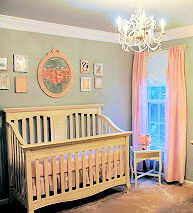 Another "must see" would be our moms' nursery paint ideas. See how to decorate the nursery walls with stickers and decals and prepare to be amazed at modern concepts of popular nursery themes for baby boys and girls. And to assist moms in finding the most modern in nursery products and equipment, we provide baby gear reviews of the latest items on your nursery checklist. Our nursery picture gallery is filled with ideas for decorating the baby's nursery but that's not all! We also have many free baby patterns with instructions for easy, Do It Yourself projects. Many of the craft and paint techniques have step by step instructions that you can adapt to your unique circumstances. Change the color, adjust the size of the project and you have an original piece with bragging rights! On our site, parents have shared their experiences and ideas that may save you lots of time and money. Plus, they got a chance to win some cash prizes for your nursery decorating ideas in our ongoing baby nursery photo contest. And when you're finished decorating a nursery for baby, please drop by and share your own pictures and ideas. Nursery ideas and decor is just part of what will be of interest to the mother-to-be. We have baby shower themes and ideas for cute invitations and decorating ideas for the hostess with gift ideas. If you are into crafts, check out our free baby patterns that you can use to make personalized baby gifts or share them with a loving grandmother who would love to make some homemade baby items. We host reviews with giveaways where moms get a chance to win free baby stuff and sample the latest products on the market as well as shopping resources for nursery necessities like baby car seats, baby cribs, slings and the latest designer diaper bags. What makes our tips for decorating baby nurseries so unique is that they are real nursery ideas that have been shared by real moms! Our visitors are so cool about offering assistance to parents looking for hardware for their nursery furniture, replacements for the crib parts that got lost in a last minute move and missing crib manuals as they are about sharing opinions on the best nursery colors for baby boys or girls. Their eye for color and style is exceeded only by their compassion and care for other moms and their newborns. The nursery ideas and pictures of real nurseries are just part of what makes this such a great place for new moms to gather, visit and share their dreams. The energy and spirit of community are what completes the package and never ceases to amaze me.